Here it is a Lake Sunapee boathouse with 8 rooms 3 bedrooms and 3 bathrooms. This year round home sits right on top of the boathouse. You can't get much closer to the water. 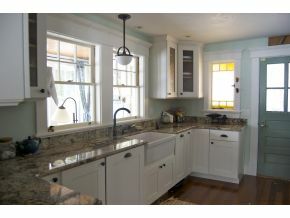 The home was built around 1900 and has been updated. You have a living room with wood burning fireplace for those cool evenings, a dining room, two side porches, a gourmet kitchen with granite counters. From this great location you can be at Mount Sunapee Ski area in less than 15 minutes or out for a snowmobile ride up to Sunapee Harbor. Listed by Country Houses Real Estate. If you enjoy fishing you can't beat the salmon and trout fishing. 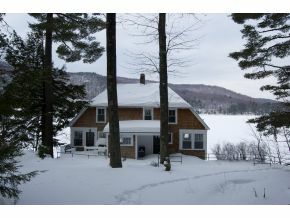 For additional information on this Sunapee home call Lady of the Lake Realty at 1-888-737-5550 or e-mail at info@nhlakesrealty.com or visit our website to view similar lake homes in New Hampshire from Squam to Winnipesaukee at www.nhlakesrealty.com or www.lakeorskirealestate.com Contact us today!